The ‘Edible Teas’ are made from dried fruit and vegetables, offering an alternative to caffeinated or herbal teas. Once the tea has been consumed, the fruit and vegetables have been fully rehydrated and can be enjoyed as a healthy snack. Nim’s already offers a range of fruit and vegetable crisps, and decided to look at other ways it could use its technology. “With our core products doing very well, we decided to look at other ways we could use air dried fruit and veg and our R&D team came up with the idea of fruit and vegetable teas,”​ explained Nimisha Raja, founder of Nim’s Fruit Crisps. “I always wondered why the fruit teas never actually tasted of real fruit so I started experimenting with the small pieces of fruit that we filter out when packing our crisps,” she says. “Because our drying method enhances the flavours of the fruit and veg, the taste was incredible! 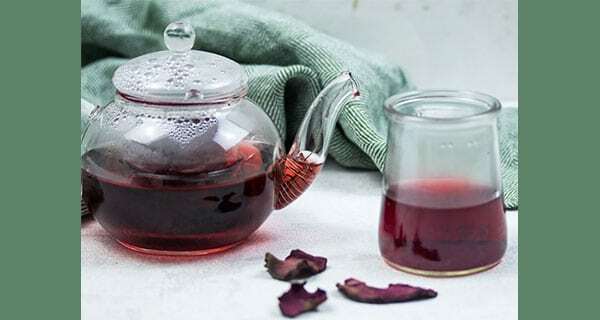 I then started adding vegetable too and again the intense taste was amazing, the colour was great and the tea was so refreshing and natural tasting. The edible teas are available in beetroot and parsnip; pineapple and kiwi; and pineapple, beetroot and parsnip. The handmade loose tea infusions retail in 12 single sachets of 12g portions. All of the Edible Teas packaging, from box to sachet, is recyclable or home compostable. Nim’s has also launched a range of infusions of air-dried slices for use in hot and cold drinks, which rehydrate when added to liquid; removing the need for fresh fruit in bars and thus reducing waste and preparation times. Nim’s was founded by Nimisha Raja, winner of Woman and Home Super Entrepreneur 2018. All products are made with one ingredient per product and are fat, gluten and dairy free, as well as being Vegan, Kosher and Halal certified. The crisps are manufactured at a bespoke allergen-free facility in Sittingbourne, south east England, which can produce more than 15 million packs of crisps a year. Around 80% of its fruit and vegetables are sourced from a 30 mile radius of its factory. In the UK Nim’s products are available in Co-Op, Tesco and Ocado. The company has also been accelerating its efforts to expand international outside the EU in light of Brexit, with distribution deals secured in Hong Kong, Israel and South Africa.